A conveyorized system configured with 1-4 stationary ultrasonic nozzles or one reciprocating nozzle for low to mid-volume production. Sono-Tek’s ultrasonic medical coating systems have been used to apply a wide variety of antimicrobial or other medical bandage coatings to topical wound care and dressings as well as implantable wound dressings, hemostatic patches, and soft tissue repair devices, from small, selective spray areas and fine lines to wide webs of fabric. Coatings such as blood clotting agents, antimicrobial, antibacterial, antibiotic, and other pharmaceuticals are applied to topical and implantable dressings and devices to aid in minimizing rejection, inflammation, and infection, promote biocompatibility and rapid healing, provide pain relief, or improve adhesion to treatment site. Bandages, surgical masks, wound dressing, hospital textiles, surgical gauze, and other medical patches, are just a few of the surfaces that can be sprayed with uniform solutions and suspensions using ultrasonic spray technology. Often used to apply uniform nanolayers of antimicrobial solutions including silver silane, silver nitrate, or other antimicrobial solutions inhibit the growth of bacteria, providing superior infection protection. Medical ultrasonic coatings are effective for reducing the risk of (Hospital Acquired Infections) HAIs. 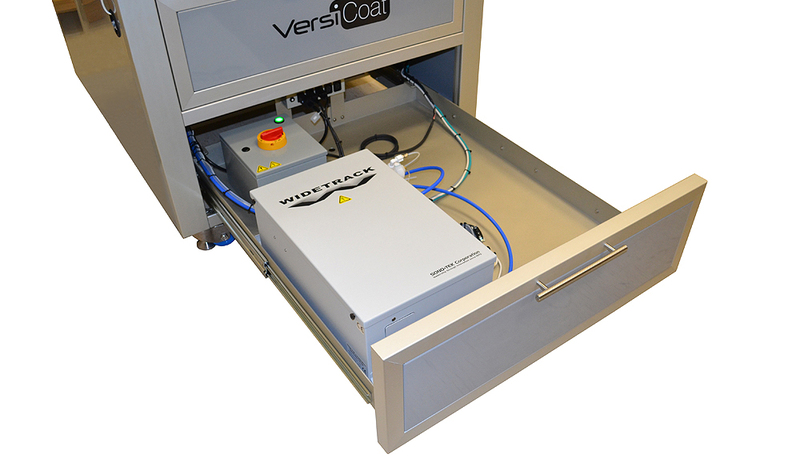 The WideTrack wide area coating system is commonly used to spray wide area substrates and moving webs of materials such as medical fabrics. The thickness and concentration of coatings can be easily controlled and adjusted to maximize durability and efficiency. Several nozzles are used together to create any width needed, with high uniformity of the coating across the entire web. Sono-Tek ultrasonic systems for medical bandage coatings are unique, using patented ultrasonic nozzle technology to produce very small, uniform droplets that have a very tight drop distribution. The nozzle orifice is large compared to pressure nozzles, and is designed to be a non-clogging, pressureless spray device. This makes it possible to spray at a wide range of flow rates, and apply very thin coatings that are highly uniform, saving spray material and improving the quality of medical coatings while enhancing patient safety through more uniform antimicrobial coatings. 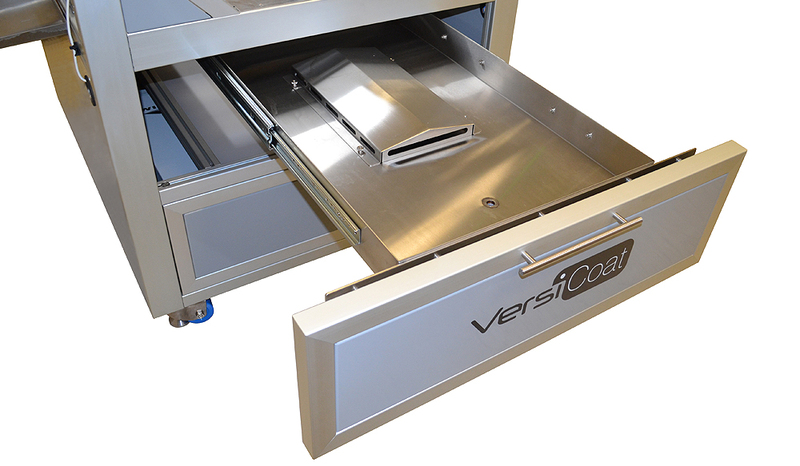 Highly uniform coating with precision dosing of material, allows for controlled delivery to desired area, enhancing patient safety. Compatible with solutions, suspensions, oleic-, solvent-, and water-based formulations. Fine-tuned spray process allows for uniform distribution and precise dosing for effective drug delivery and treatment. 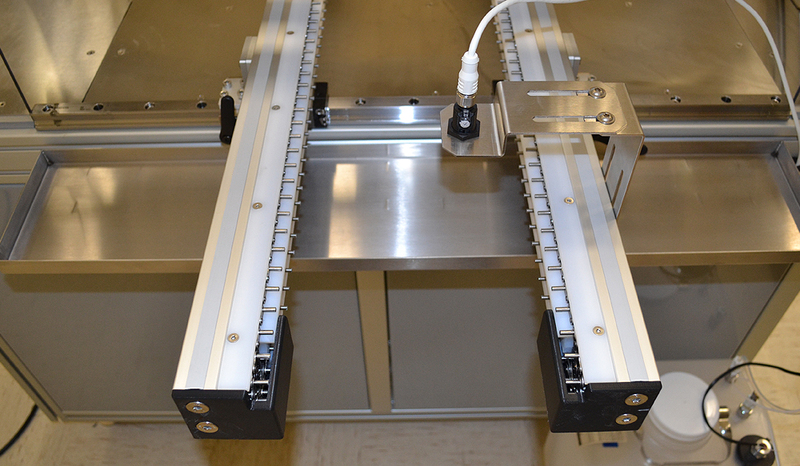 Flexible width control for various width products. Low velocity spray is easily controlled, minimizing overspray and excess material usage. 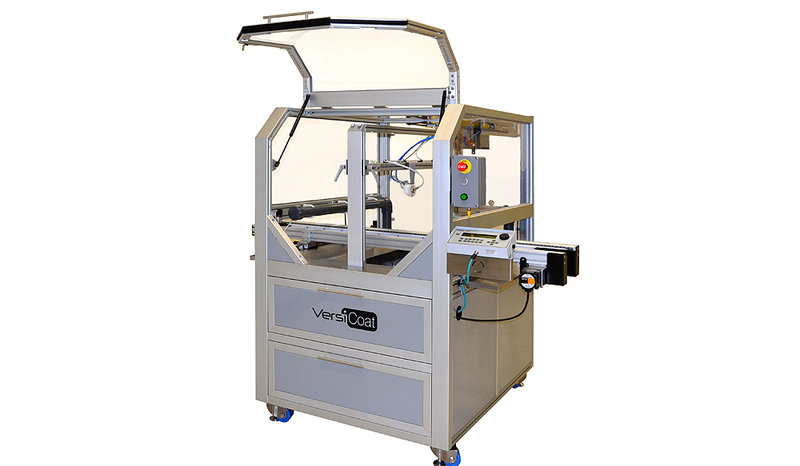 Can be configured for one side or dual side application with spray up or spray down capability. Wide range of flow rate capabilities. 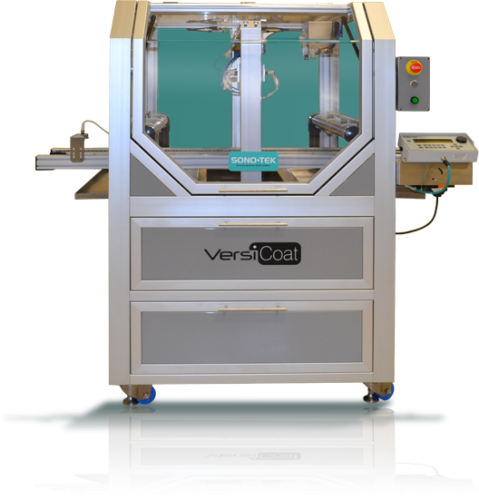 We have been providing precision medical device coating systems for over 30 years to medical and industrial textile manufacturers around the globe.